DU Paper M.Com previous question paper is available. Candidates can check DU Previous Question Paper M.Com from this page. Delhi University releases the question paper of the semester exam conducted by them every year. The previous question papers are released on the official website of Delhi University ie, du.ac.in. The question provided on this page is just for the preparation purpose. Students studying at the Delhi University and opted for the M.Com paper can find this article useful for the preparation purpose. 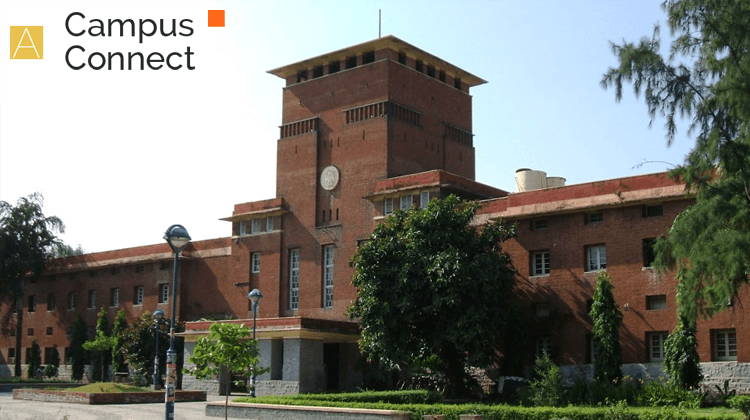 Delhi University conducts the exam in the month of April and Nov/Dec. Check the article for DU Paper M.Com Previous Question. Delhi University conducts M.Com paper for 3 hours. Candidates need to answer the question for 75 marks. Candidates appearing for the exam shall have to write and communicate the answer to the question in the written or oral exam through the medium of the English language only unless otherwise specified. Candidates can check the link for DU Previous Question Paper M.Com below. Question Papers: Click Here for DU Previous Question Paper – M.Com. Candidates appearing for the Delhi University semester examination must be aware of the exam pattern. Delhi University conducts M.Com paper exam for 3 hours. Candidates have to answer the question for 75 Marks. Candidates should note that they have to attempt all the question in the question paper. The medium of the exam is English and candidates must answer the questions in English medium only. Candidates can use the other medium to answer the question only if specified. Candidates while preparing for the semester examination can use the previous question paper for the revision purpose. This question paper is meant for the practice only. While preparing through the previous question paper candidates can check the level of the preparation. Candidates will start to understand the questions pattern, which will help them to figure out the important questions for the examination. Previous question papers are important because there is the possibility of questions repetition and the candidate can be benefited by this. Also, previous year question papers are a good source of information to know more about the exam such as the exam pattern, marks to be scored, marking scheme, type of questions to be prepared and more. While solving the previous question paper questions do not refer to the books or notes be fare during revision. After completing the questions verify your answer and also make the notes of the mistake done.